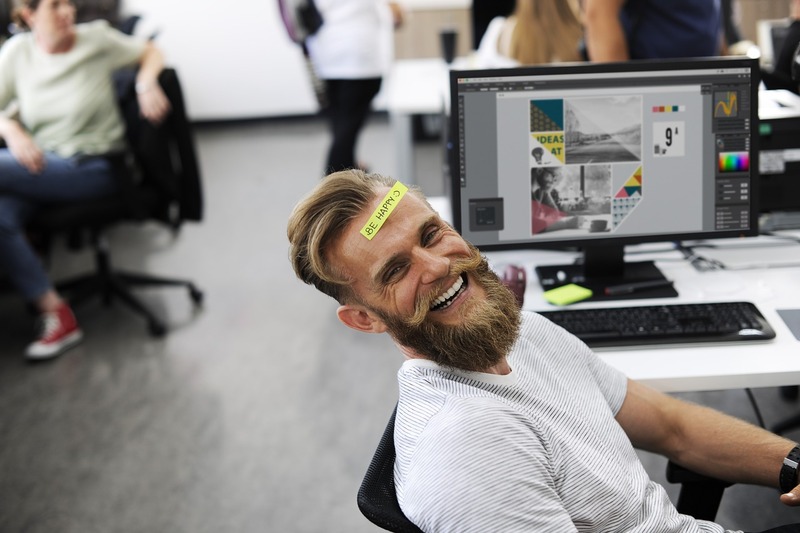 So, you have enjoyed your holidays and are back to work feeling rusty and unfocused. Do not worry, it happens to most of us after a relaxing break. 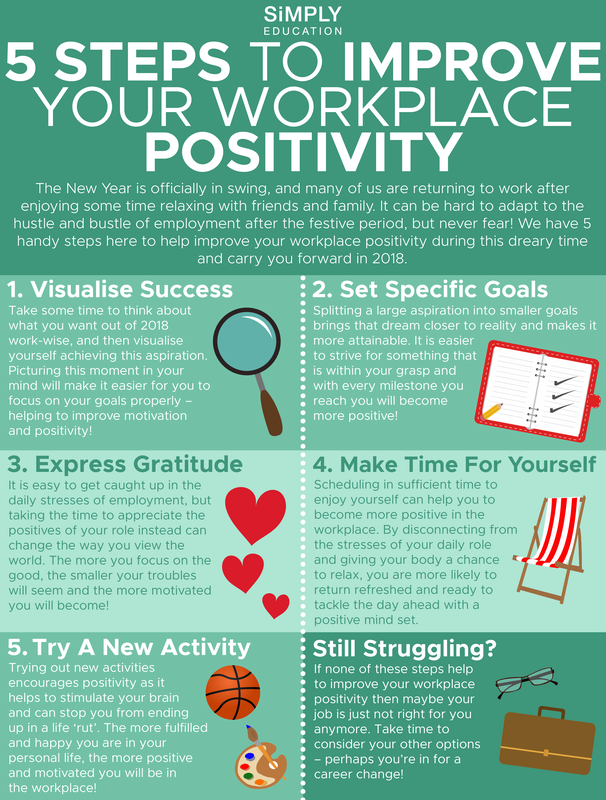 The good thing is there are ways that could help you improve your workplace positivity and bring a change in your life and career. In this regard, Simply Education has created an infographic which provides us 5 steps to boost motivation and positivity. According to the infographic, the first step is to visualize success meaning picture yourself at a position you really want to achieve. This will make it easy for you to concentrate on your objectives accurately. If you did not set a goal yet, do it now! After you have set an objective, make sure you split it into smaller goals. As you accomplish a smaller milestone you become more positive and closer to your dream. On the other hand, if you strive to achieve a big goal in a shorter time, you might get disappointed as you fall short of your expectations. Those who have attained success in this world know to appreciate the positives. They focus on the good and never allow the negativity come close to them. Follow in their footsteps! You can never be good at what you do if you are stressed all the time. We all need time for ourselves because that disconnects us from our workplace worries and give us an opportunity to relax. Go and meet your friends or take a trip to your favorite place and come back to your job with a positive mindset. Science proves that exercises make you fit and healthy not only physically but also mentally. Being consistent in your workout routine eliminate stress and makes you more positive and motivated. Following our advice, if you still feel you are not motivated enough, maybe it’s time to change your profession. Ask yourself what motivates you in your life? If you love teaching people and bring a change in society, you should start looking for teaching jobs. If you love playing video games, why not you try to learn to programme and create your own game? Know what you love and you do not have to work another day in your life!